China backed Pakistan’s engagement with the Nuclear Suppliers Group of which both Islamabad and New Delhi are not members, and said it welcomed Pakistan’s adherence of NSG guidelines. Beijing: China supports Pakistan’s efforts to improve ties with India and settling their disputes through dialogue and negotiation, Beijing said Sunday in the joint statement released during the ongoing visit of Pakistani Prime Minister Imran Khan. Lauding Pakistan’s anti-nuclear proliferation record, Beijing added it supports Islamabad’s engagement with the NSG – while also indirectly criticising those countries supporting India in its NSG membership quest. The joint statement also touched upon China’s backing for Pakistan to join the Nuclear Suppliers Group (NSG), a group of countries that control trade in nuclear technology; Beijing has repeatedly prevented India from joining the NSG. The statement didn’t specifically mention the India-Pakistan dispute over Kashmir but said China appreciates “Pakistan’s quest for peace” in the region and for a stable south Asia. 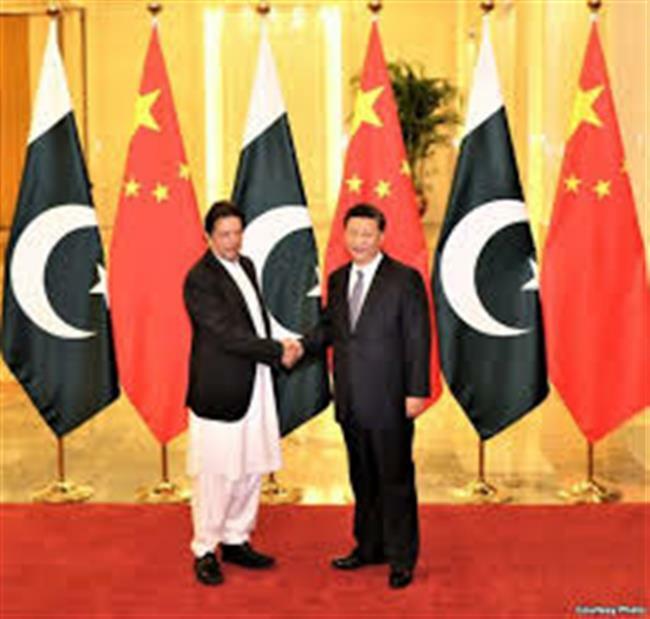 Khan is on a four-day visit to China and the two countries have reaffirmed to strengthen the “China-Pakistan All-Weather Strategic Cooperative Partnership” – Beijing and Islamabad considers each other as “iron brothers”. Khan and President Xi Jinping have also agreed to expand the China-Pakistan Economic Corridor (CPEC) projects under which are ongoing inside Pakistan-occupied-Kashmir (PoK) – an area India claims as its own. Beijing has maintained the CPEC projects are economic ventures and not targeted against “any third country”, meaning India. Sunday’s joint statement continues that rhetoric. “Both sides (China and Pakistan) believe that a peaceful, stable, cooperative and prosperous South Asia is in the common interest of all parties. Both sides emphasised the importance of pursuit of dialogue and resolution of all outstanding disputes to promote regional cooperation and advance the goals of lasting peace, stability and shared prosperity,” it said. “China appreciates Pakistan’s quest for peace through dialogue, cooperation, and negotiation, on the basis of mutual respect and equality, and supports Pakistan’s efforts for improvement of Pakistan-India relations and for settlement of outstanding disputes between the two countries,” the statement added. “They (China and Pakistan) noted with concern the continued pursuit of double standards in the application of non-proliferation norms and procedures and called for policies upholding rule of law and long-standing rules,” the statement said. “China appreciates and supports steps taken by Pakistan for strengthening the global non-proliferation regime. In this context, China supports Pakistan’s engagement with the NSG and welcomes its adherence of NSG Guidelines,” it added. On counter-terrorism, Beijing conveyed its “…support to Pakistan’s commitment and efforts to counter terrorism, assured Pakistan of its support in implementing its counter-terrorism strategy, and commended the tremendous sacrifices made by the Pakistani nation in fight against terrorism and for Pakistan’s immense contribution to regional and international peace and security through its achievements and successes”.